A new economic impact study by the Florida Departmentof Transportation (FDOT) found that Jacksonville Aviation Authority’s (JAA) four-airportsystem contributes more than $6 billion annually to the local economy. The Florida StatewideAviation Economic Impact Study measured the benefits of on-airport impacts,visitor spending impacts, and multiplier impacts of Jacksonville InternationalAirport (JAX), Jacksonville Executive at Craig Airport (JAXEX), Cecil Airport,and Herlong Recreational Airports. The report was prepared aspart of the Florida Aviation System Plan’s (FASP) 2018 update and provided theestimated annual economic impact on Florida’s 20 commercial service airports,100 public-use general aviation airports, and 11 military aviation facilities.A total economic impact of $175 billion dollars is generated annually byaviation in Florida. 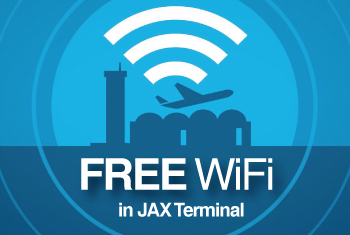 Jacksonville InternationalAirport (JAX) generates $3,194,422,000, the highest economic impact of the fourairports the JAA operates. It supports 26,396 jobs generating a payroll ofclose to one billion dollars. The airport also offers educational tours and aninternship program through local colleges. 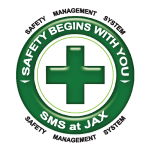 The Jacksonville Executive atCraig Airport (JAXEX) created 885 jobs, establishing a payroll of close to $33million and provides an economic impact of over $100 million. Given itslocation between downtown Jacksonville and the beach, the airport attractscorporate and business users, and is home to several flight schools. Cecil Airport provides NortheastFlorida with an economic impact of close to $3 billion, over 11,000 jobs and atotal payroll of close to $700 million. Cecil Airport is a public jointcivil-military airport and spaceport serving military aircraft, corporateaircraft, general aviation, and air cargo. Herlong Recreational is JAA’ssmallest airport but still provides Florida with an economic impact of$52,471,000 and created 379 jobs with a total payroll of over $16 million. This airport has been Northeast Florida’sprimary location for light sport aircraft, skydiving, gliders, and otherexperimental aircraft since the 1960’s. It is home to the Soaring SocietyGlider Club and supports a private charter company, a flight school, skydivingbusiness, and a maintenance shop.